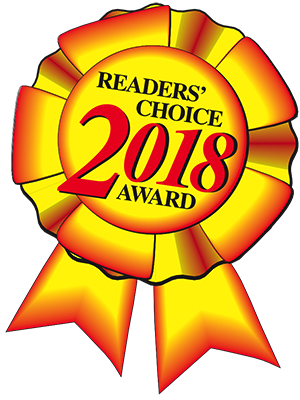 Orchard Heights Dental Centre: we are pleased and humbled to once again be the recipient of the 2018 Readers’ Choice Award. This is our eigth year winning the Favourite Dentist award. and the first time winning Favourite Dental Hygenist. 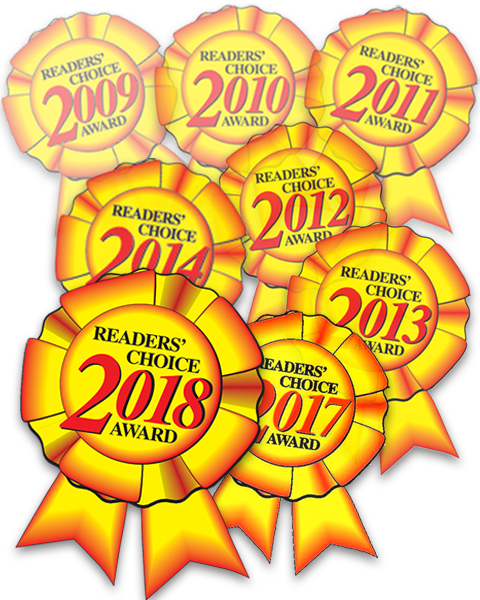 We want to take this opportunity to thank all our loyal patients who continue to support our practice, refer family and friends and whose votes won our dental office this year’s 1st place award. So what sets us apart? What are we doing differently? We know that Dentistry is stressful and anxiety provoking. We see the portrayal of dentists in the movies and we have heard all the same jokes. We have heard your stories and your struggles. In response, we have put together a strong team. A team that from the moment a phone call is made to the office to the delivery of treatment, your best interest is our focus. We thrive because your comfort, your experience and your reviews drive us to do better and be better. Our team is kind, personable and responsible and our practitioners hold themselves to the highest standard of care. Orchard Heights Dental continues to evolve and expand to respond to the needs of our growing practise. We have a number of specialties to provide comprehensive care in the familiar and comfortable surroundings of our office. Dr. Raymond Katz has been providing family dental care, including cosmetic and implant dentistry in Aurora for over twenty-five years. Dr. Jessica Pulla is known for her kind and gentle touch in family dentistry. Dr. Jonathan Rapp is our certified specialist in Endodontics (root canals). Dr. Ana Urdaneta, is our friendly Orthodontist who provides full orthodontic services including Invisalign and offers no charge consultations. Dr Jaclyn Glick is our Periodontist (gum specialist). We strive to stay current and continue to invest in the most recent technology to provide cutting edge care. Most recently our x- ray system was updated to full digital sensors reducing radiation exposure to our patients by 50% and increasing quality by four times. We continue to provide the full spectrum of dental treatment including zoom whitening, veneers, dental implant and laser dentistry in a calm and relaxing atmosphere. Our dental offices at St. Andrew’s Shopping Centre provides dentistry in a fresh, comfortable and modern atmosphere. “Some amenities include massage dental chairs, flat screen ceiling mounted televisions above all dental chairs and a children’s play area equipped with game stations. The office is fully digital, computerized and paperless,” says Dr. Katz. “Our patients often remark that our long term staff are professional, friendly and always accommodating. Click here for a photo tour or click here for a video tour. If you or your family would like to join our practice, please give us a call at 905-727-8586 to arrange an appointment.